Meanwhile, autistic people tend to over-select for STEM fields and research. I’ve gotten a couple of jobs where I work because I’m autistic and have an eye for detail. So, what is your other eye used for? 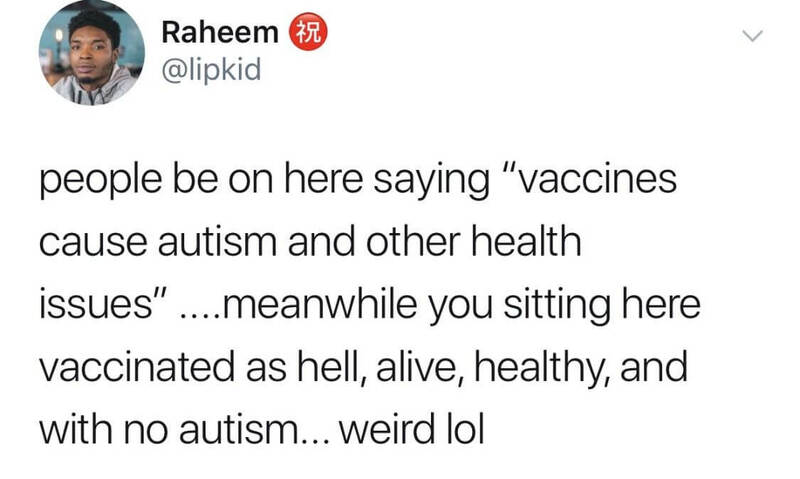 Yea that’s the thing, even if vaccines had a chance of causing autism, it would have to be pretty minuscule to the point that you’d think the risk would be worth it compared to dying to the things the vaccines prevent.